The new 360 camera module will easily fit in 0.29-inch thick phones and provide 16 megapixel stills, as well as 4K videos. VR tech hasn’t really become the next big thing, even though HTC, Samsung and Sony are trying hard to promote their VR headsets, games and apps. Maybe more devices need to integrate VR capabilities in order for the technology to reach mainstream status. What if smartphones included 360 cameras so users could explore their snapshots with the help of VR headsets? Chinese manufacturer HT Optical thinks these 360 cameras are a great opportunity to promote the VR movement so they just presented their latest small factor 360 camera module at MWC Shanghai. HT Optical already released 360 camera modules for the ProTruly Chinese smartphones back in December 2016, but the camera made the phone quite bulky and added quite a few grams to the overall mass. 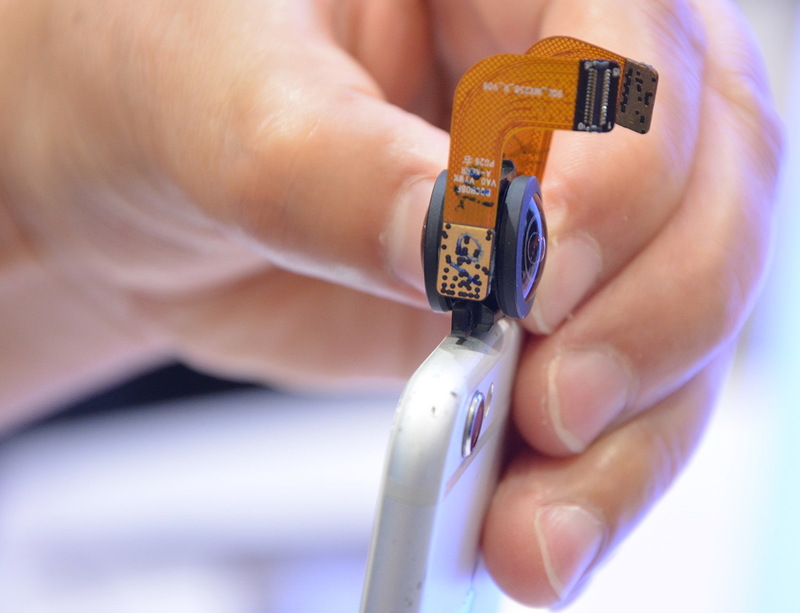 The latest 360 camera modules from HT Optical are much smaller and can easily fit into a 0.29-inch thick smartphone. The Chinese have also improved the image resolution, allowing for 16 megapixel snapshots and 4K videos. The lens of the camera module only adds 0.03 inches to the total thickness of the smartphone. It also features a tough scratch-resistant coating. The new camera module is expected to make its mass production appearance in a Chinese smartphone model on July 30 this year.